NEW ORLEANS, LA--(Marketwired - March 23, 2016) - Audubon Commission in conjunction with Audubon Nature Institute announced it has joined BidNet's Vendor Centric Purchasing Platform and will be distributing upcoming bid opportunities through www.VCPurchasing.com. This will be in addition to publically posting bids and announcement as required by the Louisiana Public Bid law. The Vendor Centric Purchasing Platform connects participating zoos and aquariums from across the country to an increasing vendor database and streamlines the bid and vendor management process for the buying organization. Audubon Commission in conjunction with Audubon Nature Institute joined the platform in March 2016. The Vendor Centric Purchasing Platform expands the institute's vendor pool and enhances vendor competition with a shared vendor database among other participating zoos and aquariums. All vendors interested in doing business with Audubon Nature Institute and any other participating organizations can register online at www.VCPurchasing.com. Audubon Commission in conjunction with Audubon Nature Institute encourages all interested bidders to register. "One of the reasons that we joined the platform was to increase our response from those specialized suppliers who cater to the zoo and aquarium industry. Vendor registration is easy and we can notify bidders of an open RFQ with just a click of a button, and they can respond just as easily," says Cecilie Halliwill CPPB, Purchasing Director. Registered vendors gain access to bid invitations, related documents and files, all addendum, and award information. In addition, the purchasing platform offers a value-added service for vendors to advertise for products & services through a promotional profile, list multi-office location listings, receive matched bid opportunities from the Audubon Nature Institute and more. The Vendor Centric Purchasing Platform also provides Audubon Nature Institute with a powerful e-Sourcing technology to simplify the purchasing process by streamlining bid management, bid distribution, vendor relations and overall procurement tracking. The Platform is a single, online location for managing sourcing activities and provides zoos and aquariums across the country the tools needed to minimize costs and save time throughout the purchasing process. The core purchasing platform is currently being offered at no cost to eligible zoos and aquarium organizations through AZA Smart Source and BidNet. 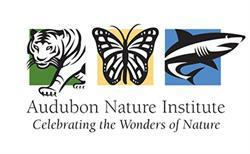 Audubon Nature Institute is a 501(c)3 not for profit that operates a family of ten museums and parks dedicated to nature for the Audubon Commission, a political subdivision of the State of Louisiana. We serve our visitors, our community and our world as an educational resource, an environmental guardian, a leader in economic development and a venue for family entertainment. The success of the Audubon family lies within the individual strengths of its facilities. Working together, they are helping to create a bright future for generations to come. The Vendor Centric Purchasing Platform is a collaboration between BidNet and Vendor Centric. The platform is an intuitive, robust web-based platform being used by a growing number of zoos, aquariums and museums across the country utilizing the SourceSuite technology. The platform is currently offered to eligible organizations through Vendor Centric's AZA Smart Source and the Alliance Purchasing Cooperative. For more information, visit www.VCPurchasing.com.